I am taking Google’s word for “All Chromebooks” here. Hopefully there won’t be any caveats leaving any particular device behind. If you are a regular reader of Chrome Story, you should have noticed me writing about this new design of Google Assistant which I said will bring the service to all Chromebooks. When Google launched Pixelbook, their flagship Chrome OS device for 2017, Google Assistant one of the exclusive features of the device. It however looked like as an addon that was plastered on to Chrome OS. It did not feel, well, native. 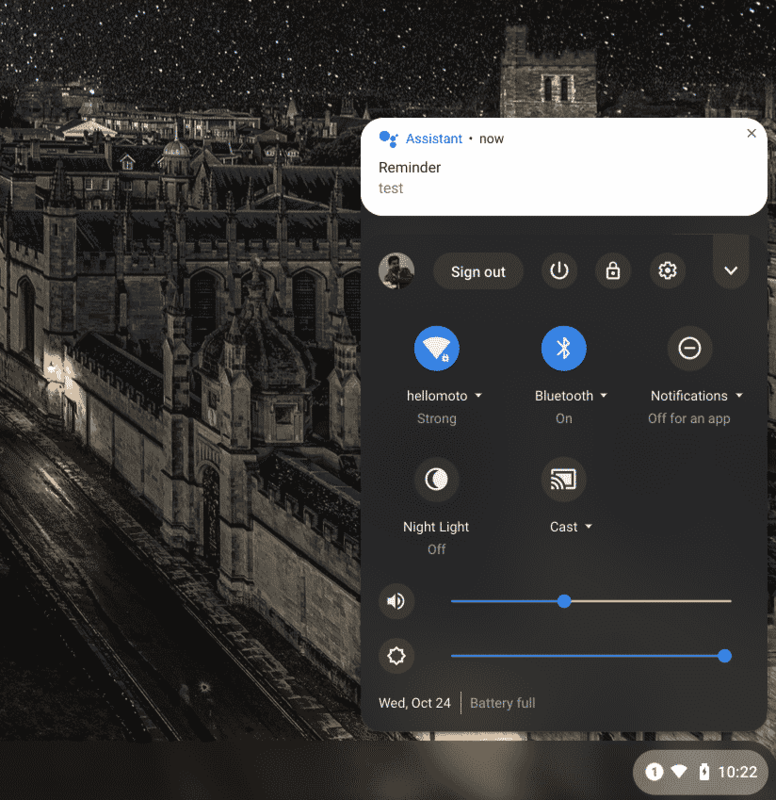 Eventually, Google started working on the new design, integrating Google Assistant into Chrome OS and moving Assistant notifications into Chrome OS’s notifications area. The new design was first spotted on Pixelbook two days ago, along with Android 9.0, Pie. Today’s update to Chrome OS Canary has a new flag. This feature, as the flag suggests, is experimental. It will take several weeks for the team to develop, test and launch it on the Stable channel. However, if you are someone who uses Chrome OS Dev channel this should reach you pretty soon. Keep and eye out for this flag when the next Chrome OS Dev channel update hits your Chromebook! What do you think? Excited? Let me know in comments! PS: I have started a new blog for Google Assistant and Google Home users. You will find a lot of “How To” articles related to Assistant there. Slowly, I’ll start sharing Assistant and Home news as well. Please consider subscribing!